THE WORLD SERIES MVP INSCRIPTION TOUR! This tour we are doing a series of Private/Public Signings with World Series MVP's! 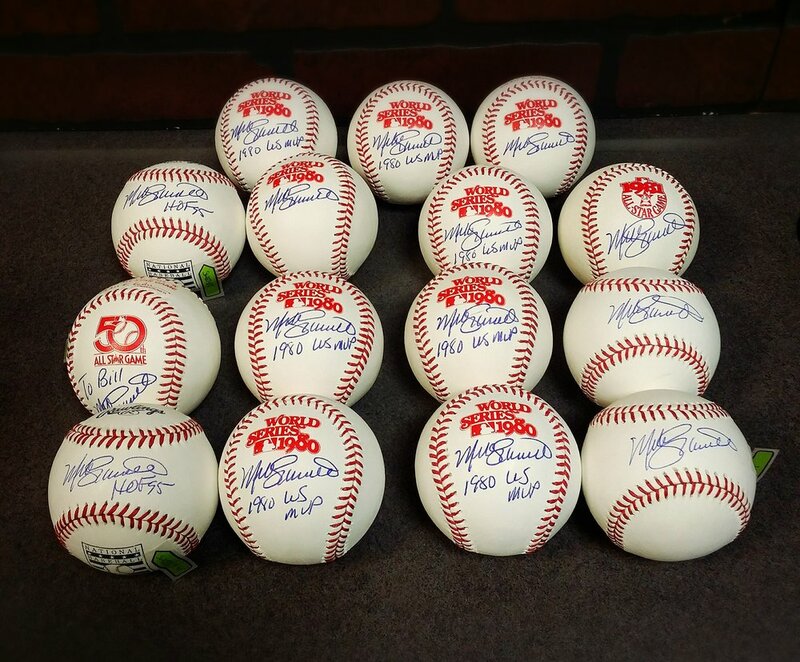 Each of the signings we offer the World Series baseballs to have the MVP sign the year they were MVP! What an amazing collection!! We are completing the year 1978 to now. Why 1978? Well, because that was the year Rawlings printed the first World Series logo on a baseball! If you have missed out on these signings, we have some extra inventory to purchase below! When a new signing is announced, we will pre-sell the World Series baseballs for you to order. Any of the extra baseballs we had signed would be listed below if still available. Crave Sports Company offers first class memorabilia, we will sell you nothing but the best quality merchandise. You can feel confident what you receive is a great item to add to your personal collection. 2018 World Series Baseball signed by Steve Pearce. These rare baseballs come inscribed with the WS MVP Inscription under the WS Logo. These were signed for us by Steve at a private signing in December 2018. Livan Hernandez autographed baseballs from our private signing. 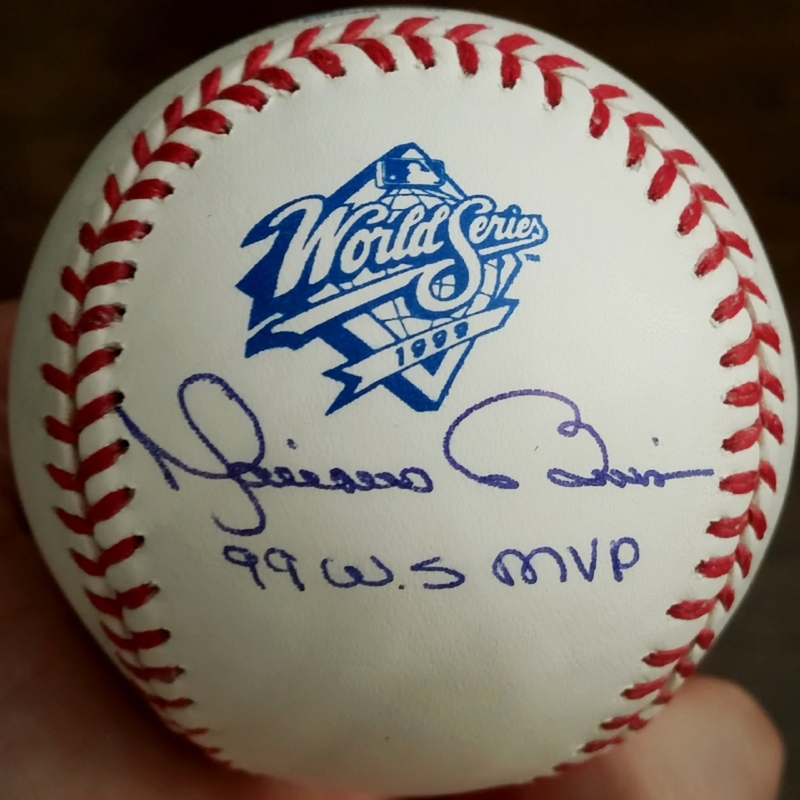 Select from a 1997 World Series Baseball or an Official Major League Baseball with his inscription, "MVP 1997 WS" - Amazing items and a beautiful signature. Free shipping and authenticated as always. 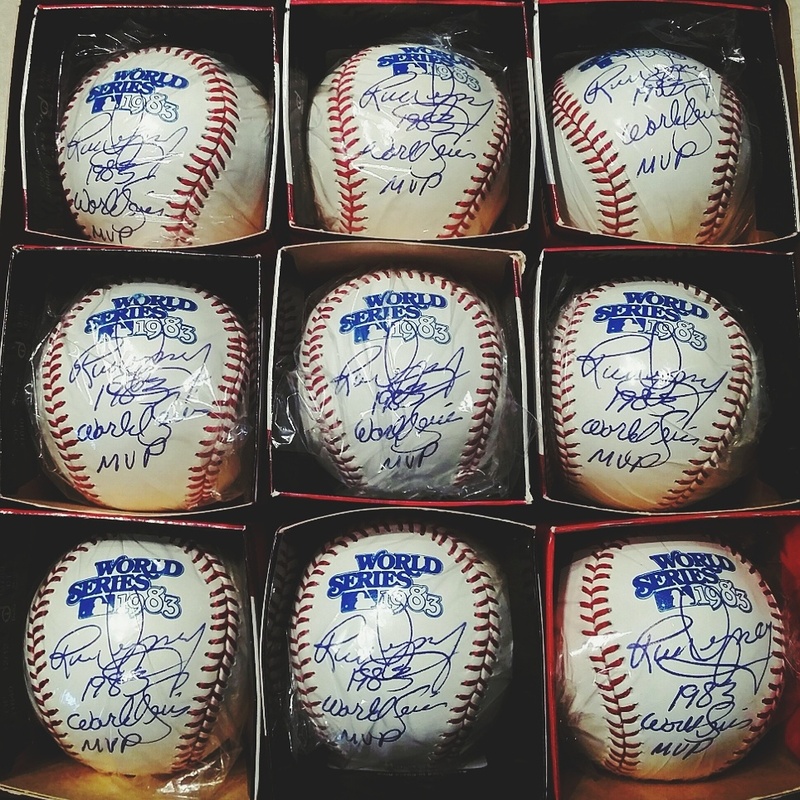 Bret Saberhagen World Series baseballs w/ 85 WS MVP Inscription! Signed at our public signing on August 19th with Bret. These are 100% authentic and guaranteed with our crave hologram. Pricing includes the autographed item, shipping & COA! Frank Viola 1987 World Series Baseballs! Order with or without 87 WS MVP Inscription! Signed at our public signing on July 23rd with Frank. These are 100% authentic and guaranteed with our crave hologram. 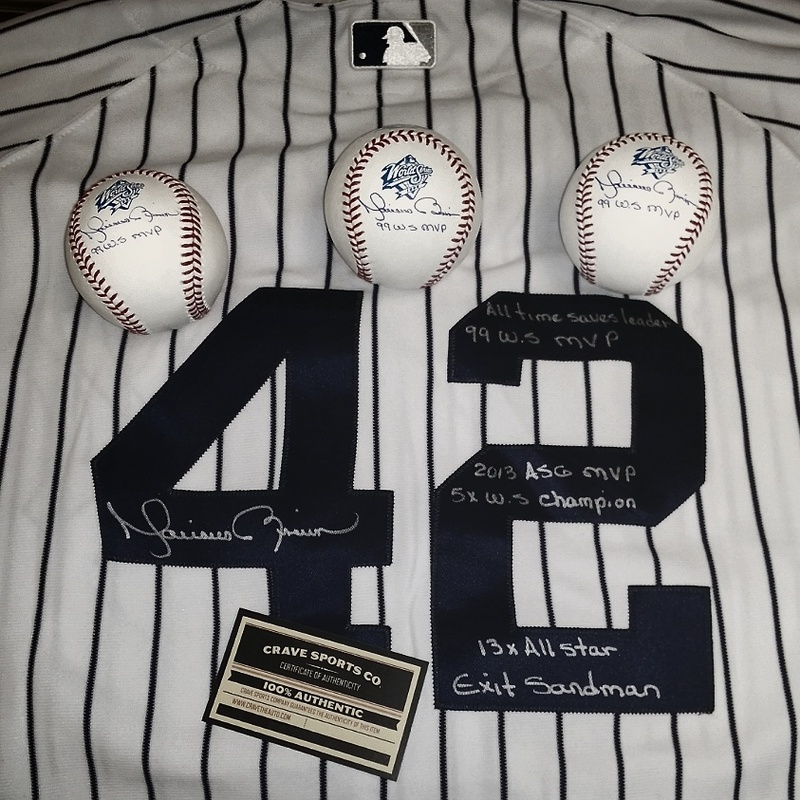 All baseballs include the autograph, baseball, a certificate of authenticity AND free shipping. Alan Trammel World Series baseballs w/ 84 WS MVP Inscription! Signed at our private signing with Alan at DC Sports in Detroit in October, 2017. These are 100% authentic and guaranteed with our crave hologram. Jack Morris autographed Official Major League Baseball. 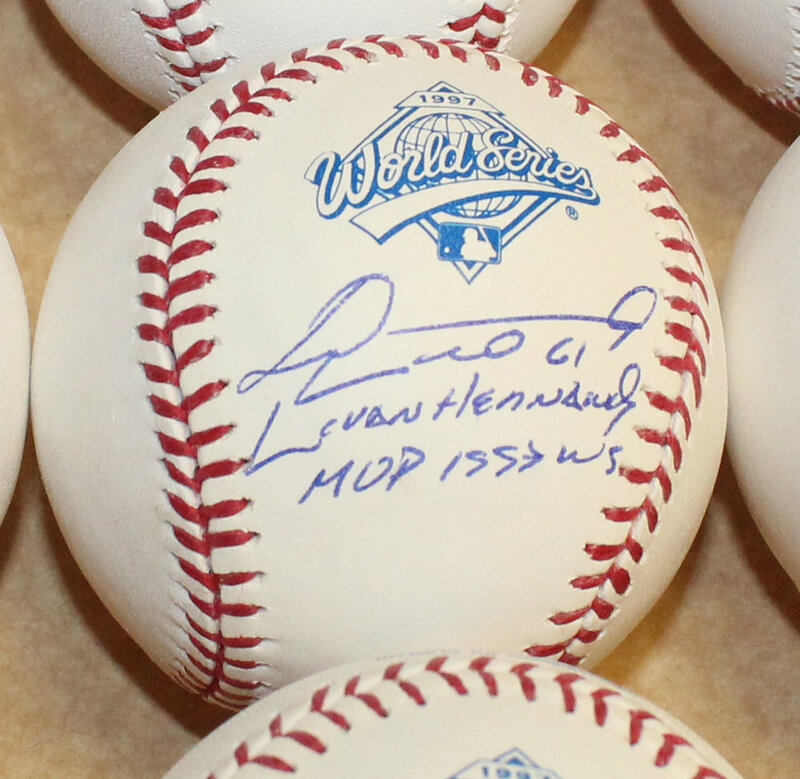 This ball also comes with his 1991 World Series MVP Inscription. Jack pitched a 10-inning shutout game vs. the Braves in Game 7, 1991 World Series! Signed by Jack on May 25th, 2017, these are 100% authentic and guaranteed with our crave hologram. Shop more authentic Crave Sports Company items! Signed for us by Rick at a private signing for us in Baltimore, March 2018. 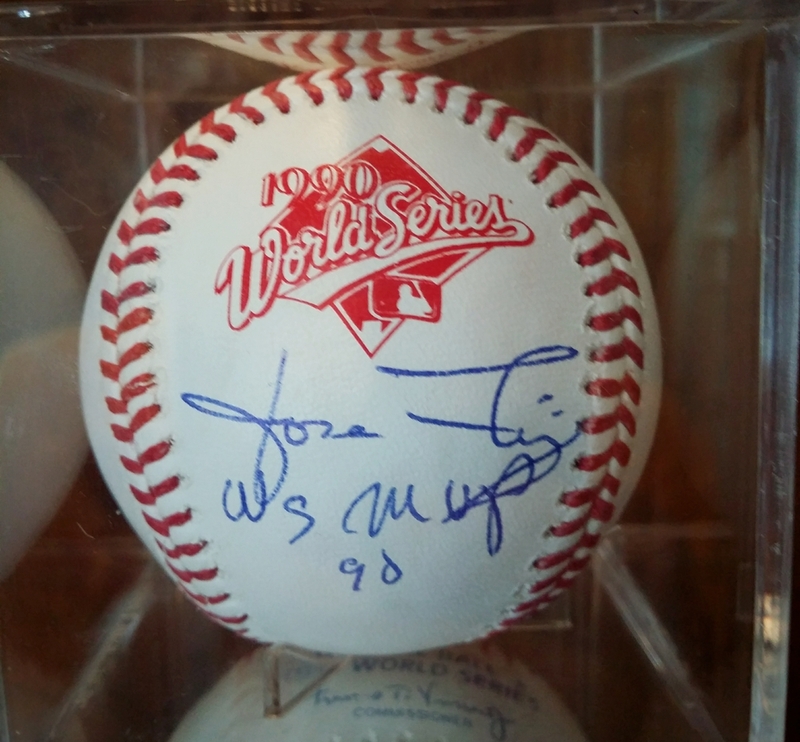 1990 World Series Baseball signed by Jose Rijo. These rare baseballs come inscribed with 1990 WS MVP and under the WS Logo. These were signed for us by Jose at a private signing for us, July 2018. 2005 World Series Baseball signed by the MVP Jermaine Dye. These rare baseballs come inscribed with 05 WS MVP and under the WS Logo. These were signed for us by Jermaine at a private signing for us in Chicago, March 2018. Pricing includes the autograph, baseball, a certificate of authenticity (JSA & Crave) AND free shipping! 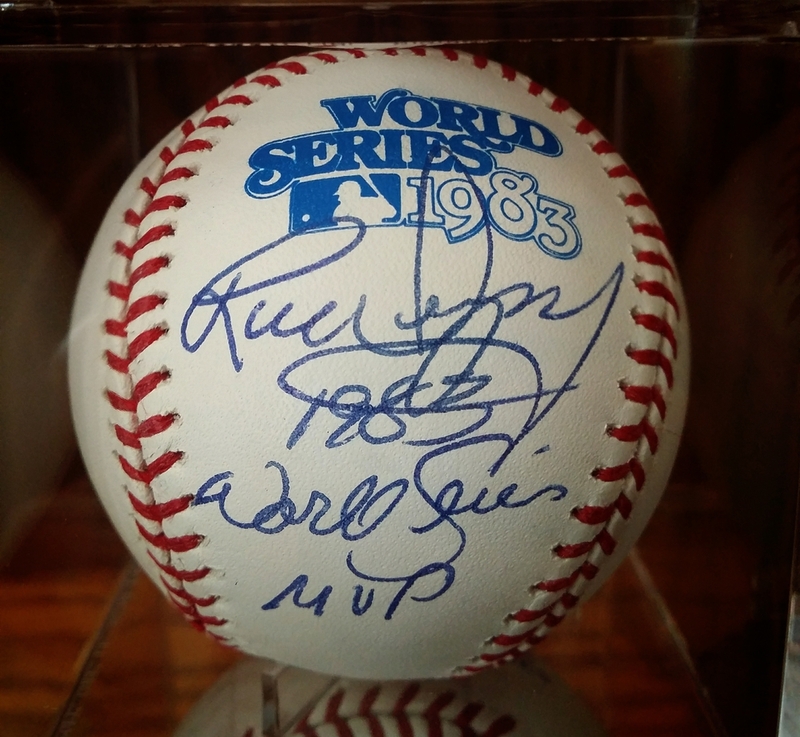 1989 World Series Baseball signed by Dave Stewart. These rare baseballs come inscribed with 1989 WS MVP and under the WS Logo. These were signed for us by Dave at a private signing for us, June 2018. VISIT OUR CRAVE SHOP FOR EXTRA ITEMS FROM OUR SIGNINGS! !